Pleasant and cheap accommodation in the center of Split. Our apartments are located in the old core of city of Split, inside the walls of palace of great Roman emperor Diocletian. This location makes apartments extremely attractive place for all those who wants to breathe the spirit of Mediterranean past and meet the life rhythm of Split's present. 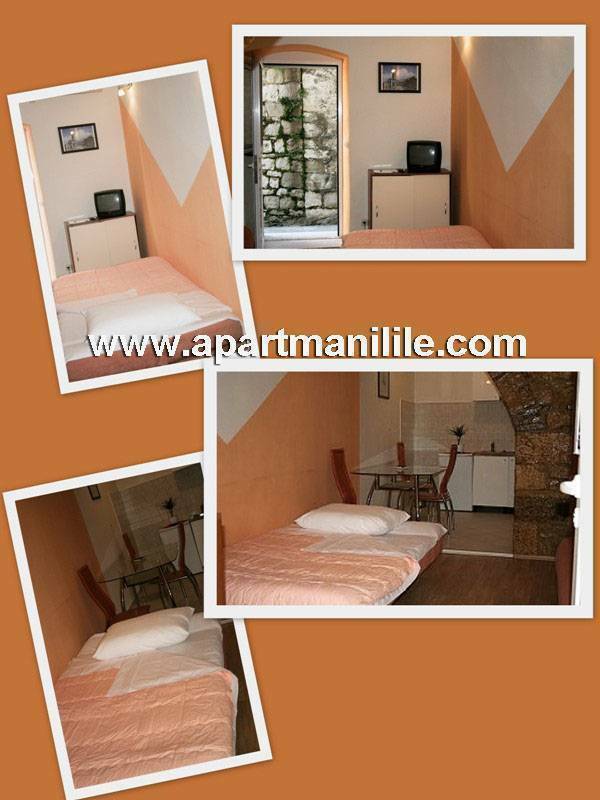 We have 2 apartments: one with 2 double-beds for 4 people, and one small for 2(+2) people. Please, take a look at the photos supplied. We are looking forward to your visit. Welcome! Since you will be accommodated in the city center itself, all that city of Split could offer will be available to you: walking in downtown, shopping, souvenirs, museum, closest city beaches, trips to the islands... only sky is a limit! You can not miss us: find the National theater building, and we are right across in Teutina 3 street, on the left side of theater.